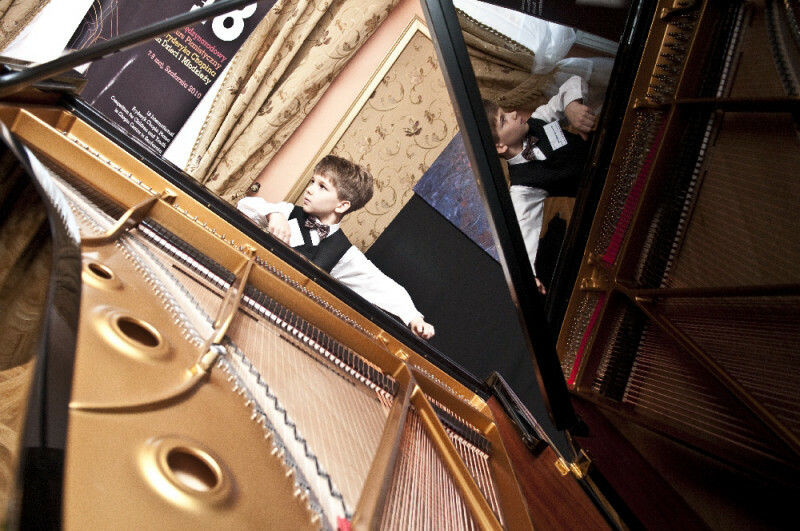 The International Fryderyk Chopin Piano Competition for Children and Youth in Szafarnia features two and a half decades of music competitions and almost one thousand participants from over forty different countries. With its 25-year tradition, the Competition continues to be the most important cultural event organised by the Chopin Center in Szafarnia since 1992 when its first nationwide edition was held, with all other editions that followed being of an international profile. The main idea behind the Competition is to discover new talent as early as possible, and to promote the music of Fryderyk Chopin as well as the Polish culture among children and young people both in Poland and abroad. For the participants, Szafarnia, a place where teenage Fryderyk Chopin used to stay and a place of his great musical inspiration, is the key to understanding his music. During these three days, some of the most beautiful pieces of the greatest composers are heard all across Szafarnia interpreted with youthful enthusiasm by the participants competing in three different age categories: up to 10 years of age, up to 13 years of age and up to 16 years of age. Year by year, the Competition is becoming more and more popular. Many young talented pianists from such faraway countries as Japan, China, the United States, North Korea, Argentina, Israel and Australia come to audition. There are also many pianists from across Europe. The Competition attracts the participants with its great prizes which include not only financial prizes, but also recitals on some of the major stages in Europe. Many of the winners win laurels at other prestigious competitions and are applauded in the greatest concert halls all around the world. Among the winners, there are: Justyna Danczowska, Daniel Wnukowski, Josif Siergiej (the winner of the A. Rubinstein Competition), Paweł Wakarecy and Jacek Kortus (the finalists of the Chopin Competition in Warsaw). In Szafarnia, there is this great power and real magic, says Maria Murawska, Professor at the Academy of Music in Bydgoszcz, when talking about the phenomenon of the Competition. Each year, the Competition attracts some of the greatest personalities in music. So far, among the judges, there have been: Kevin Kenner, Piotr Paleczny, Ewa Pobłocka, Halina Czerny-Stefańska, Barbara Hesse-Bukowska, Katarzyna Popowa-Zydroń, Alberto Nosè and Andrzej Jasiński. Over these 25 years, the Competition has become much more than just another piano competition to take part in and win. The true sense of the Competition is hidden there in this special place, the unique estate in Szafarnia where, as the participants say, it is possible to discover and embrace the spirit of young Fryderyk Chopin.